AK Party deputy Ibrahim Halil Yildiz, was wandering along the stores in Sanliurfa’s Suruc district campaigning for his party ahead of the upcoming electios when the fire broke out between his bodyguards and shopkeepers, media said. The tension gradually grew to involve Esvet Şenyaşar, a local executive from the pro-Kurdish Democratic Regions Party (DBP). AK Party deputy’s brother Mehmet Ali Yıldız were killed along with Şenyaşar’s son and another person from his family. Eight others were reported to be hospitalized. While the state-run Anadolu news agency said that the melee started after an attack against the AK Party parliamentarian, alternative sources claimed the otherwise. 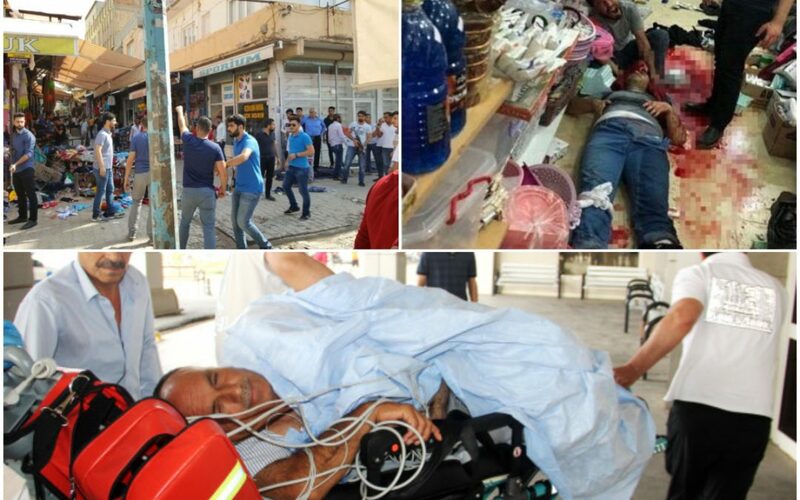 Journalist Hayri Tunc bashed what he called the reports of the pro-government media and said: “The first attack came from the deputy candidate’s group. Meanwhile, rumors had it that two of the three people had been murdered at the hospital. “AKP deputy candidate İbrahim Halil Yılmaz and his brothers visited a clothier store. Shopkeepers reacted to this and the armed fight broke out. …A father and a son were murdered at the hospital,” Servet Gören, the main opposition Republican People’s Party (CHP) head in Suruc told media.